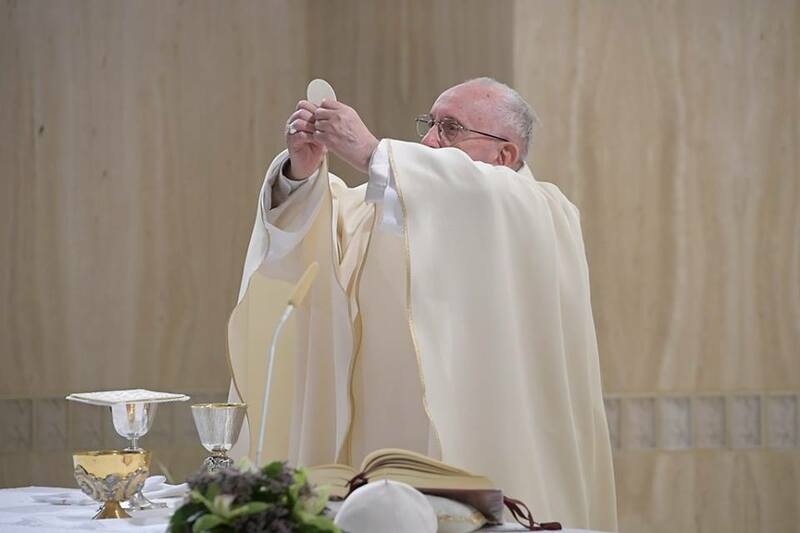 In his homily at Mass on Friday morning in the Casa Santa Marta, Pope Francis says true Christian freedom means having the clear-minded openness to make room for God in our lives and to follow Jesus. Pope Francis at Mass on Friday morning reflected on three examples of freedom – the Pharisee Gamaliel, the Apostles Peter and John, and Jesus – saying true freedom means making room for God in our lives and following Him. The freedom we hear about during this Easter season, the Pope said, is the freedom of the sons and daughters of God. Jesus gave us this freedom “through his redemptive act” on the Cross. Gamaliel: the Pharisee Pope Francis said Gamaliel is the first example of freedom offered by the day’s readings. He was a doctor of the law and Pharisee, who persuaded the Sanhedrin to free the apostles Peter and John. Gamaliel, the Holy Father said, was “a free man, who reasoned with a clear mind”, and he convinced his colleagues that “time would take its toll” on the Christian movement of his day. “The free man is not afraid of time: he lets God do the work. He allows God to take His time. The free man is patient. [Gamaliel] was a Jew, not a Christian, and he had not recognized Jesus as the Savior. But he was a free man. He thought things out and offered his ideas to others who accepted them. Freedom is not impatient.” The Pope said Pilate also reasoned well with a clear mind, realizing that Jesus was innocent. But, not being free, he could not overcome his desire for a promotion. “He lacked the courage of freedom because he was a slave to his career, ambition, and success,” the Pope said. Pope Francis then spoke about the second example of freedom, Peter and John. They had healed the paralytic, were hauled before the Sanhedrin, and were released after being whipped, despite being innocent. Pope Francis said the third and truest example is Jesus himself.